The tactical community, like any other, has trends, in-crowds, and must-have status symbols. This was a bit surprising to me at first: everybody walking around tradeshows with the same pants (5.11) and backpacks (Eberlestock). But, people are people, and in many ways those who inhabit one industry are no different than those in another. This trendiness does not just apply to the styles worn. Rifle makers, accessory manufacturers, stock makers, and many others do not display their wares alone but rather fully decked out to make them look cooler and more ready to rock and roll. This entails choices as to which other products to have in your display. These choices can reflect well or poorly on the brand in question based on their quality, suitability, and, most importantly, whether or not they represent an up-to-date knowledge of the products in favor with others in the industry: You don’t want to be caught wearing last year’s optics do you? I mention all of this not just as social commentary or amateur psychology, though I obviously find it amusing and informative as such, but more importantly because it applies to this product specifically. Judging by the choices of makers in their displays as well as articles in gun rags, this Leupold Mk 6 3-18x is the must-have optic of the industry. I am not surprised. The Leupold name is such that even prior to the launching of the tactical division, when it’s tactical products were clearly out of date, Leupolds could still be found in many displays. Now this division is producing products that are not only up-to-date in terms of features, but also are quite aggressively designed. At less than 1 ft in length and 23.6 oz in weight, the Mk 6 3-18x is smaller and lighter than virtually any competing product. The benefits of this are obvious to anyone carrying it and, as we will discuss later, it is not easy to design, and even more difficult to manufacture a scope with these sort of dimensions. It is therefore not surprising to me that this optic has become the darling of the industry. I for one was immediately taken with it and I have looked forward to few reviews as much as this one. 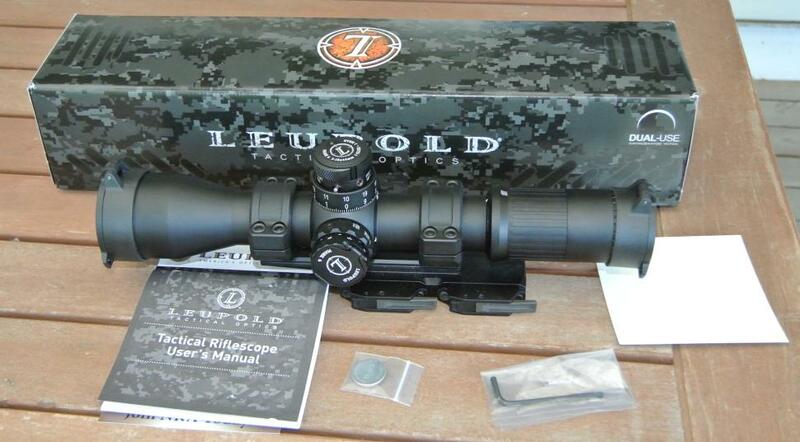 Unboxing a brand new Leupold can be one of the great joys of reviewing rifle scopes. The Mk 8 1-8x in particular was a gem of packaging perfection, coming, as it did, with perfectly cut foam displaying the product and each of its many extras. Despite being near the same price ($3.2k for the illuminated M5B2 knobs and TMR reticle version I tested) the Mk 6 3-18x was very differently packaged. Its packaging is quite basic. It came in a box with padded foam end caps, some manuals, battery, hex wrench, plastic Butler Creek caps, and a bumper sticker – like just about every scope I have reviewed except that the box was actually a little on the small side and the elevation knob impinged on the top. I found the experience a bit odd given the elaborate packaging in the 1-8x and even the 1-6x scopes of theirs that I have previously reviewed: those scopes pretty much came in a display case while this had a box that was too small. I wonder how that happened? Anyhow, the optic will be the only thing that matters in the end. As mentioned previously, this one is exceptionally small and light. This is certainly the first thing that will strike the user and the impression will be a dramatic one. It really is so much smaller and lighter than what you are used to that it will come as something of a shock. Other features that the user may find somewhat unusual are the elevation knob and the intricately hinged battery door. This optic comes in two elevation configurations. The original elevation configuration, which I have, is called the M5B2 knob. This knob locks at any position and must be squeezed while rotated. It features a zero stop that is adjusted using one large hex set screw instead of the three tiny ones that you have probably seen on many other optics. I consider this an advantage in both ease of use and probably durability as well. The M5B2 knob also has a tactile revolution indicator that indicates to the user what revolution the knob is on. It is a two revolution 10 mils per turn knob. The last, and probably most interesting, feature of this elevation knob is the external, tool-lessly repositionable or changeable scale. This ring is held on by two spring-loaded pins which, when depressed, allow the zero indicator to be moved or the whole ring to be replaced with another. This allows the user to set whatever mils below zero stop are desired or two replace the generic indicator ring with any of a number of existing or custom BDC rings. It’s a pretty nifty and feature-laden elevation knob. 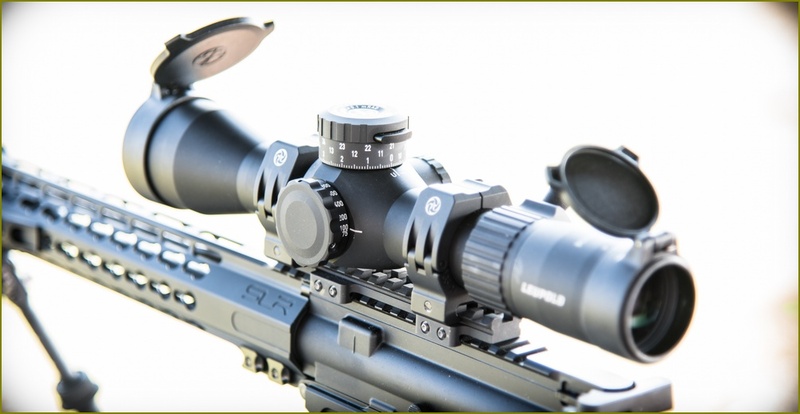 The other elevation knob available in this optic is called the M5C2 knob and is a low profile option. Like the M5B2, it is a zero stop, two revolution, 10 mils per click unit with turn indicator, but it is much smaller, only locks at zero, and features no movable or removable target scale. 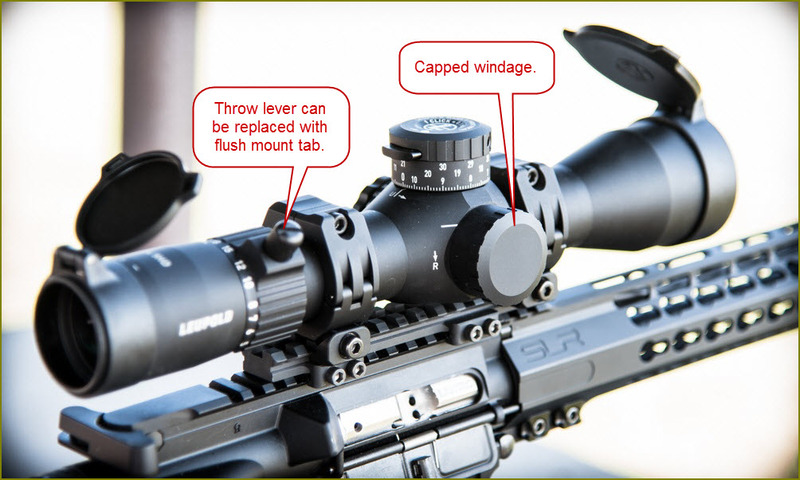 In either case, the scope features a capped, low profile 5 mils each way windage knob. The Mark 6 diopter is a very nice locking euro style unit and the power change rings grip is nice, large, and easy to grip. Overall, the features on this scope are quite up-to-date with current market preferences right down to the 34mm tube size. I would love to say that a wide variety of very interesting reticle options exist for this unique optic, but that is not the case. There are only two reticles for the illuminated version of this optic which I will discuss. Depending on which elevation knob you choose, there are 6 options for the un-illuminated Mark 6. 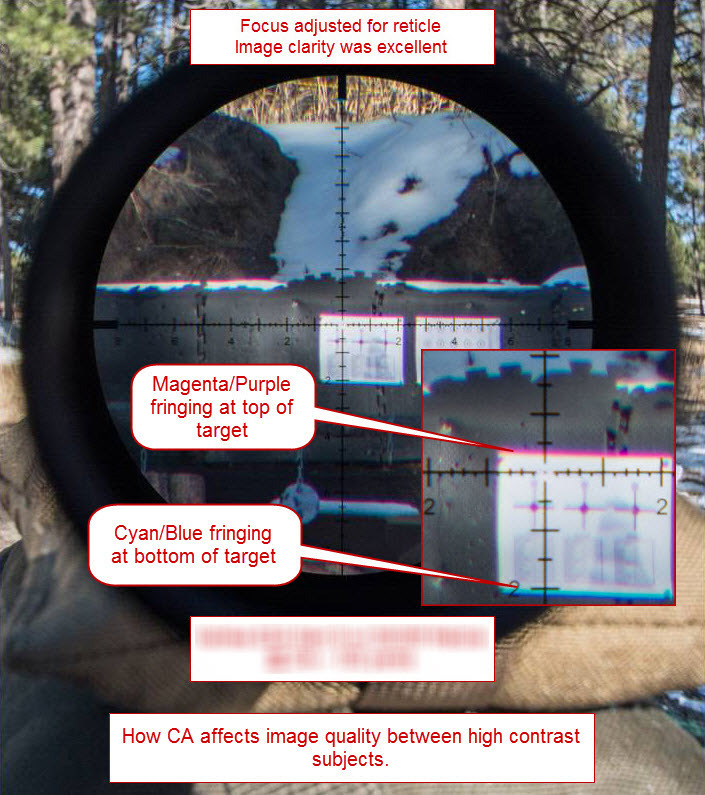 The reticles are: the TMR (comes illuminated), CMR-W 7.62, CMR-W GRID, H-58, H59, and TREMOR 2 (comes illuminated). The TMR, by far the most common choice, is a simple mil hash reticle with divisions every .5 mils, a few sections with divisions at .2 mils, and no graduation labels. It is not a very artful affair, with little variation in line widths, making it rather thick in the center at max power, and has no Christmas tree or rapid ranging features. It plainly isn’t what anybody really wants, but it will work for most everybody and can be had in every possible configuration. 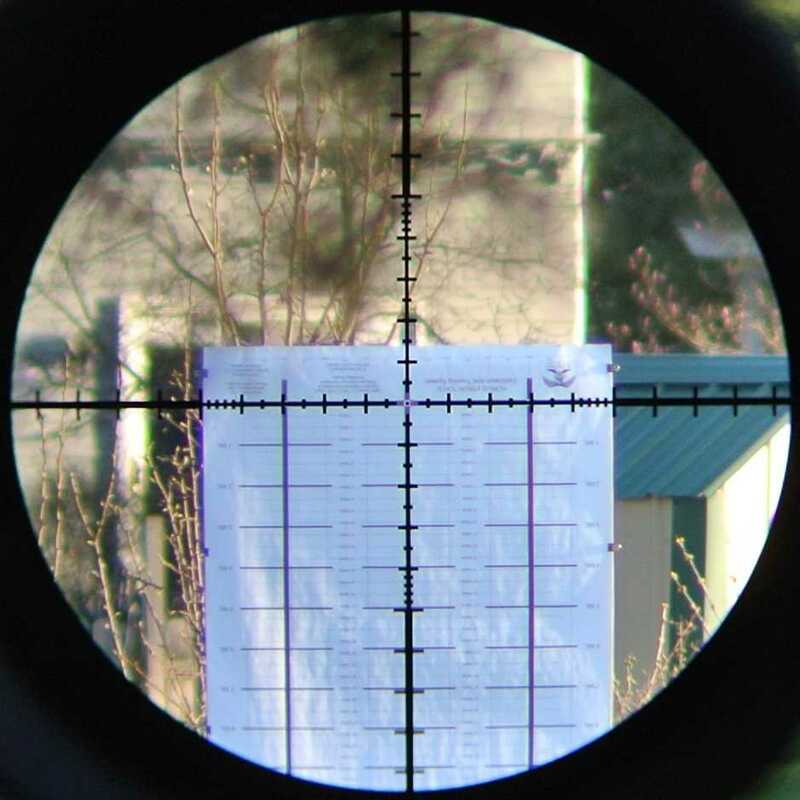 The TREMOR 2 is Horus’s latest grid type reticle. 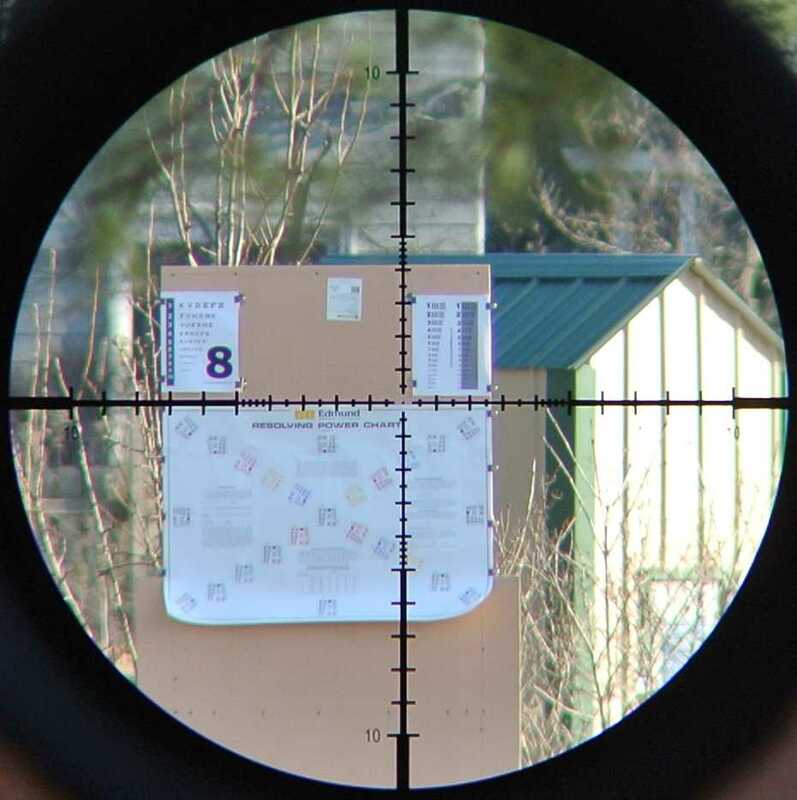 If you are not familiar with the Horus concept of drop and drift compensation, you should check it out as it is an interesting alternative to the far more common dialing of drop and holding of drift that most shooters do. In the case of this optic, it is also a $1,250 up-ding in price. Going into this evaluation I had absolutely no idea what to expect. 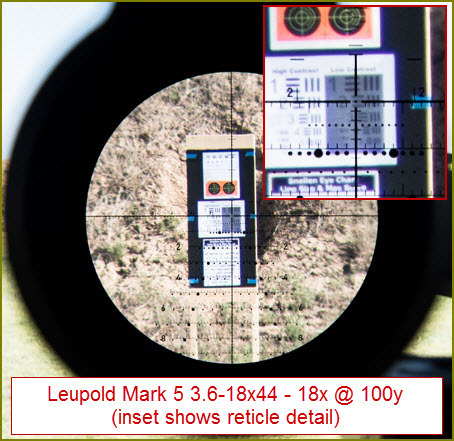 From my previous work with the Mark 8 and Mark 6 lines, I knew Leupold put top flight glass into these products, but the extreme size and weight difference of the 3-18x when compared to all of the scopes with which it competes was an argument in the other direction as regards optical performance. You see, making a scope short, in particular, is difficult as it requires the light to be bent at more dramatic angles upon entering the optic. This can be mitigated somewhat by the addition of entire lens groups in place of single lenses, allowing each to do only a little bending. This is why many short optics are actually exceptionally heavy. 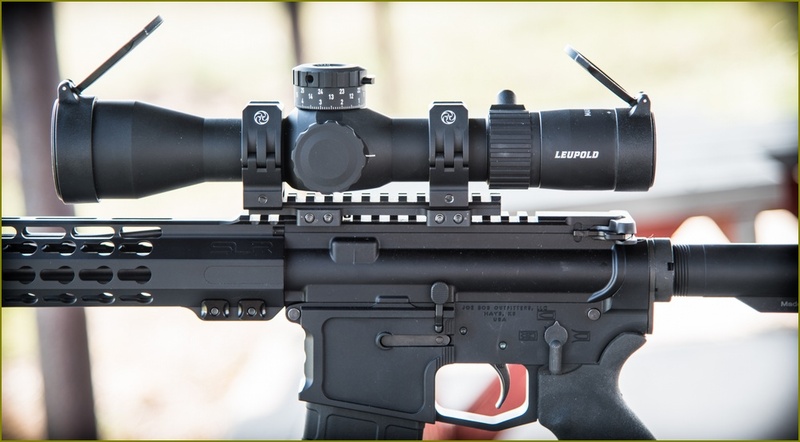 This Leupold is both short and light; a very difficult thing to do from an optics design standpoint. Every aspect of design is complicated by this as distortions originating in wavelength differences between different colors, spherical vs. parabolic lenses, and imprecise positioning of the lenses are all effected. Furthermore, assembly is at least as dramatically affected because tolerances dwindle to almost nothing. 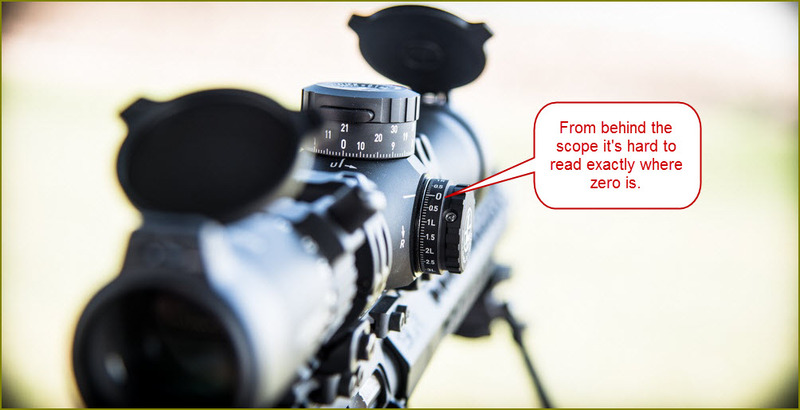 I have viewed some very pricey short scopes that suffered the ravages of compact stature and were borderline unusable, so I was apprehensive when approaching this section of the test. Would the little Mark 6 perform or was it more of a novelty than a contender? At the time I tested the optic, I had quite a variety of optics on hand to compare side by side with it: the Vortex Razor HDII 5-25×56, USO LR-17 3.2-17×44, Nightforce SHV, Burris XTR II 4-20×50, and an older Zeiss Conquest 4.5-14×44. 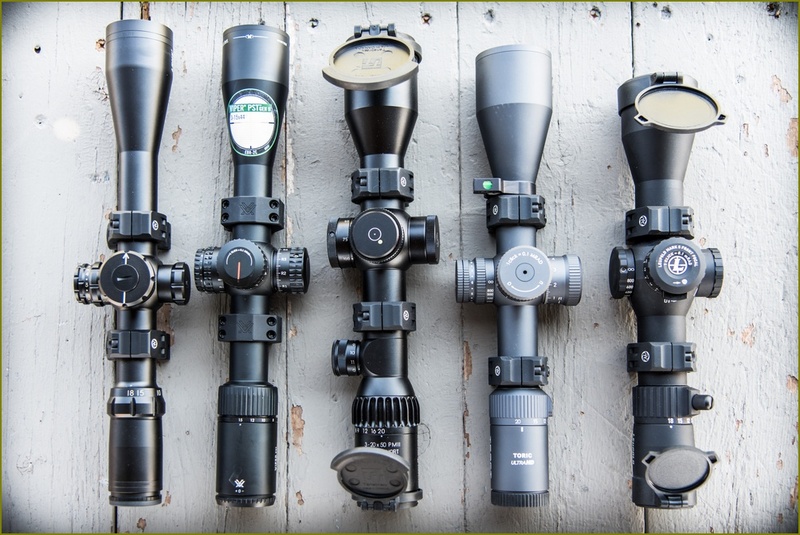 This suite of test optics varied widely in price and included both scopes aimed at the tactical market and those designed to appeal to hunters. To learn more about the exact methodology of the testing, please refer to the testing methodology section at the conclusion of the article. Pretty early on in the optical evaluation, it became apparent that the scopes were sorting themselves into three groups. The USO and Vortex were clearly optically superior to the others. They had bigger fields of view, higher resolution, better contrast, and lower chromatic aberration. They were also very close to each other in performance. After a bit of a gap in performance, the next group was also very close to each other and included the Leupold, SHV, and Zeiss. The Burris brought up the rear, not really comparing closely with anything else in the analysis despite its price being very close to that of the SHV and almost double that of the Zeiss. Because of these clear tiers, I spent most of my time comparing the Leupold to the Nightforce and the Zeiss. Interestingly, these scopes, which were closest in terms of performance, also had the greatest disparity in price and features. 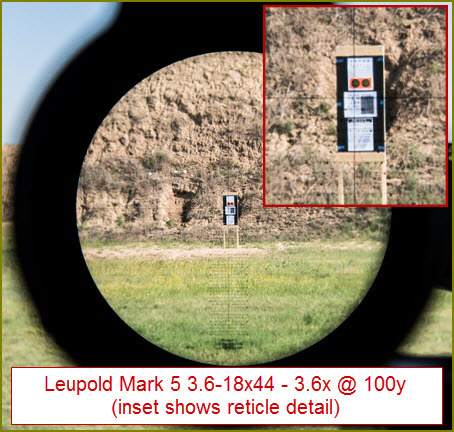 Optically, the Leupold performed in the middle of the pack in a lot of ways, which was surprising given the extreme nature of this scope in terms of cost, mass, and stature. They eyebox, which determines so much of the user experience, was in the middle of the scopes tested regarding comfort. It was not as roomy, neutral, and comfortable as the Nightforce, but was much better than that of the Burris and somewhat similar to the USO in feel. Quite usable and comfortable overall and much better than what I have encountered in many other short scopes, most of which I have found borderline unusable. This was a great relief to me as there is really no merit attractive enough to make me want to use a scope that is uncomfortable to look through. Similarly, the Leupold was somewhere on the better side of the middle of the pack regarding chromatic aberration, field of view, and resolution, with color rendition being better still. In general I found it to be the best of the three scopes in its group, though significantly behind the USO and Vortex. The only place where its short stature unmistakably hampered its performance was depth of field. It had by far the shallowest depth of field of any scope tested, with objects in front and behind the focus point being clearly out of focus. 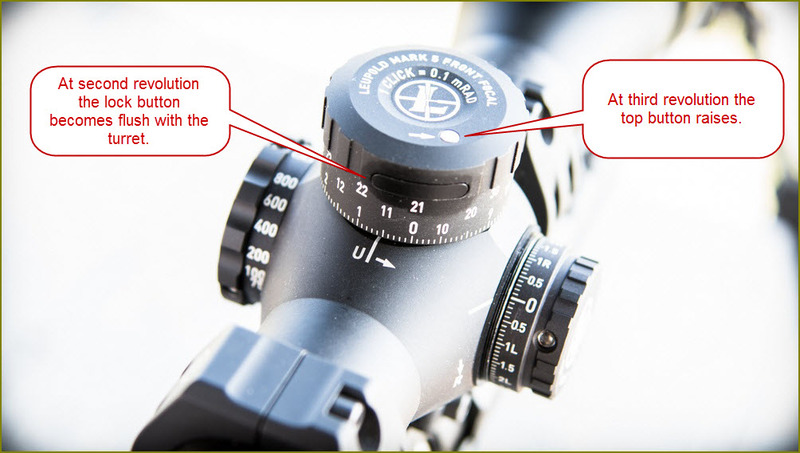 Interestingly, the throw on the parallax knob of this scope is only 45 degrees, further underlying the touchy tolerances inherent in the design. I suppose the Mark 6 3-18x’s optical performance could be viewed as a smashing success or ignominious failure with reasonable and compelling arguments on both sides. 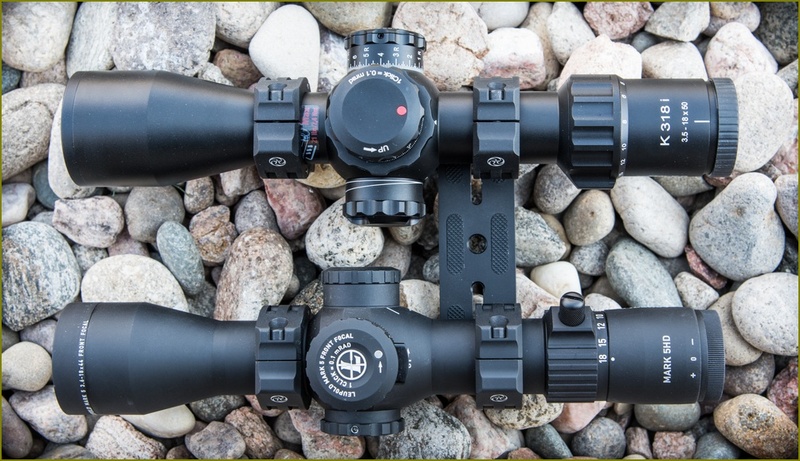 At $3,250 as tested, it is substantially the most expensive scope tested yet did not perform even within the same bracket as the other costly scopes. Perhaps it is therefore a failure. Yet, at less than 1 foot in length and 23.6 oz in weight, no other scope even approaches its diminutive size and only the dramatically less feature rich Zeiss is competitive in weight. 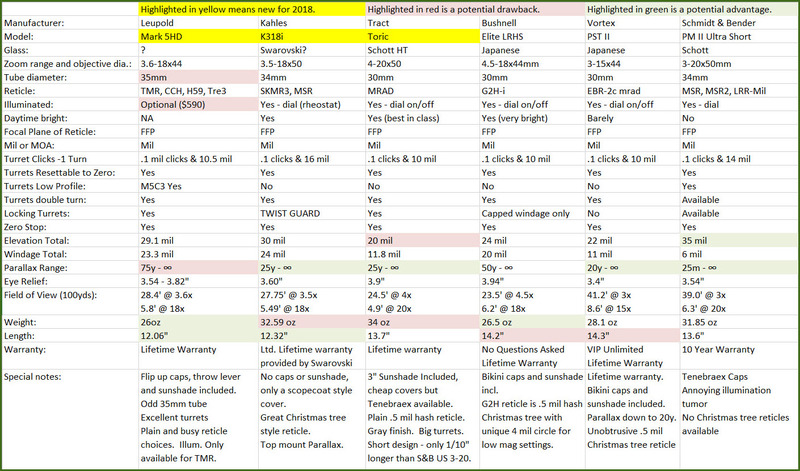 So, we could just as convincingly argue that the Mark 6 must be the most impressive by far as it performs on the better side of the middle of the pack optically yet saves such immense size and weight vs. all similarly featured contenders. I wonder how each of these arguments strikes you? The M5B2 knobs on the version of the Mark 6 3-18x I tested have proven to be somewhat controversial. 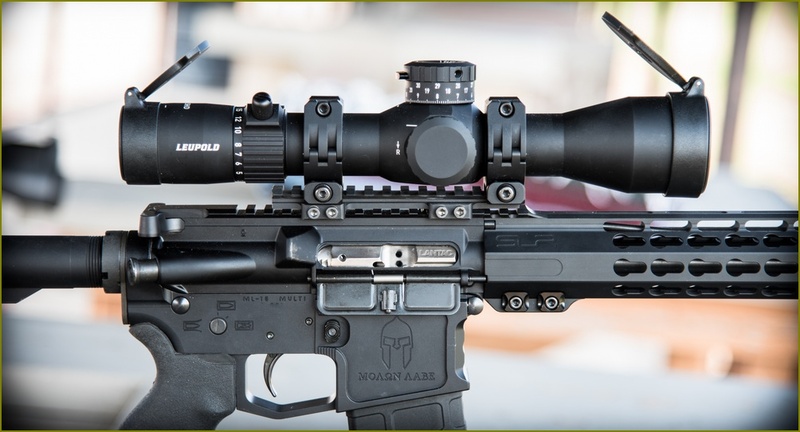 Though the M5B2 adjustments are in the middle of the pack size-wise for tactical knobs and substantially lighter because Leupold uses some exotic aluminum alloys in place of the brass more common in the industry for many adjustment parts, many people were interested in slimmer adjustments. This was presumably to complement the overall diminutive stature of the optic, and the M5C2 knobs, which are a variation on the MBC1 knobs available on the Mark 6 1-6x, are now available. In addition to the size of the M5B2 knobs, the pinch and turn locking mechanism and removable scale have also divided users. For my part, I rather like these features. The size seems about right for a tactical knob that will get a good deal of use, the pinch and turn system strikes me as middle of the road in the balance between convenience and avoidance of accidental adjustment, and I like the removable scale for the ease of which I can choose exactly how far below zero I want to set my elevation. I also like the turn indicator system and the clarity and size of the scale markings which, being on the removable collar, also make the addition of a custom scale easy. I might actually get used to that since it contains many of the features of a dope card. The feel of the turrets, though generally a subjective aspect of design, is probably universally found to be distasteful on the Mark 6: they are really quite mushy. The clicks are very definitely audible but more on the fence about being tactile. The locking nature is also less positive than most. While locked, the turrets can be manipulated within the full .1mil of the click they are on and the reticle does move with this play. I do not feel this is a functional issue, but it’s not the feel you are going for. So, the form, fit, function, and feel of the M5B2 turrets is controversial one. Personally, I like the form and function, but find the fit and feel to be lacking. My initial mechanical testing with the Mark 6 3-18x did not go well. By 5 mils of travel, the scope had gained .2 mils and read 5.2 on the target. 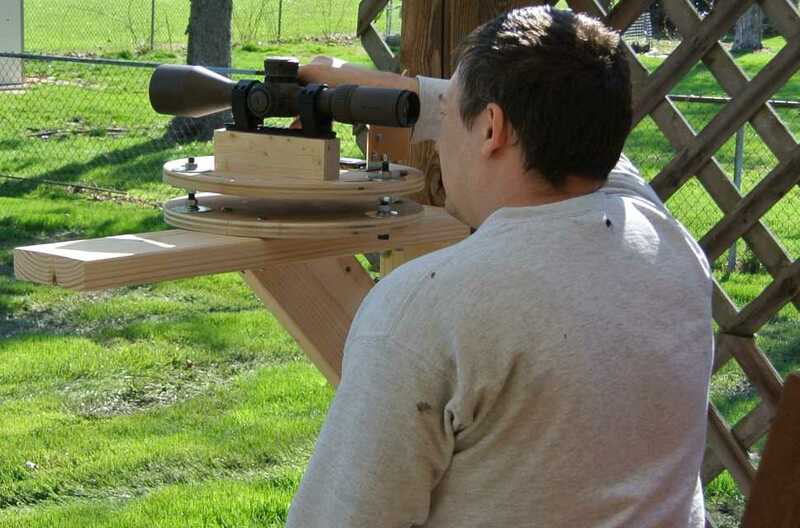 Reading 10 on the knob, it was at 10.6 on the target, and at 14.2 it was at 15. The windage adjustment was similarly off. This magnitude of deviation in travel was much larger than the deviation in reticle size of about 1% to the large side. Other aspects tested faired better, with cant insignificant at about .4% and total travel of about 15.4 mils with another 1.1mil in adjustment movement past where reticle movement ceased. This travel was significantly better than the spec I have found for the optic. 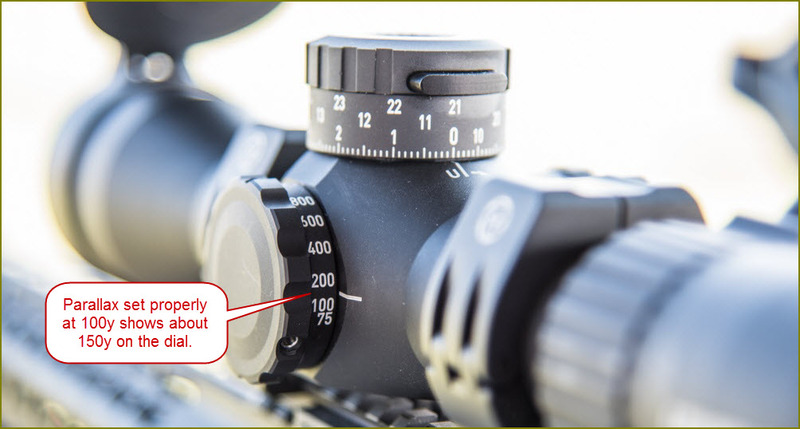 Obviously, I found this degree of deviation (2-5+% depending on distance from optical center) to be well beyond acceptable in a precision rifle scope. At 800m with a .308, you would be somewhere around a half meter off. That is enough to miss about any target. 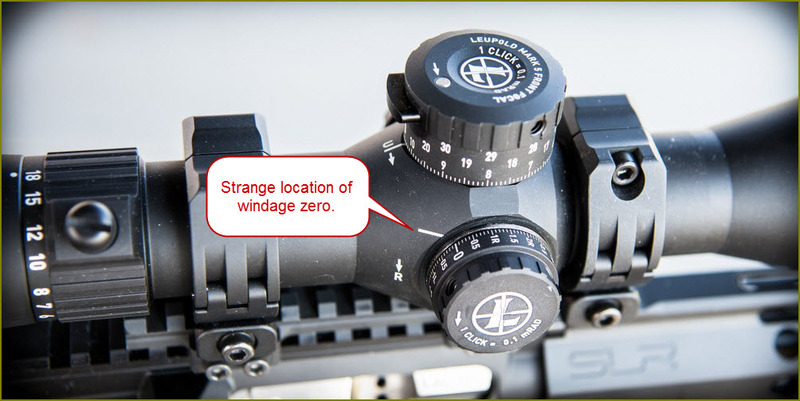 I forwarded my findings and methodology to the representative at Leupold and he requested I send the optic back to have a look at it, for which he provided a label. I sent the scope in right away and received it back in a little less than a month, shipping time included. I checked the serial number and the optic received back was the same one sent in. The explanation for the deviation I received from Leupold was that the wrong adjustment screws were installed on a few early examples and mine had been one of those. I do not feel great about this. Assembly errors and sloppiness will occur at some rate regardless of the quality of a shop. That is the purpose of QC checking using collimators or less sophisticated testing mechanisms such as the one I use in this review. The fact that not only were the wrong adjustment screws used, but also the resulting significant deviations were not discovered is worrisome. Upon return from Leupold, no such adjustment deviation was present. Actually, not only was no deviation detectable in the adjustment magnitude, but also no deviation was detectable in reticle size or reticle cant. Apparently, while switching out the adjustment screws they made a few other improvements as well. 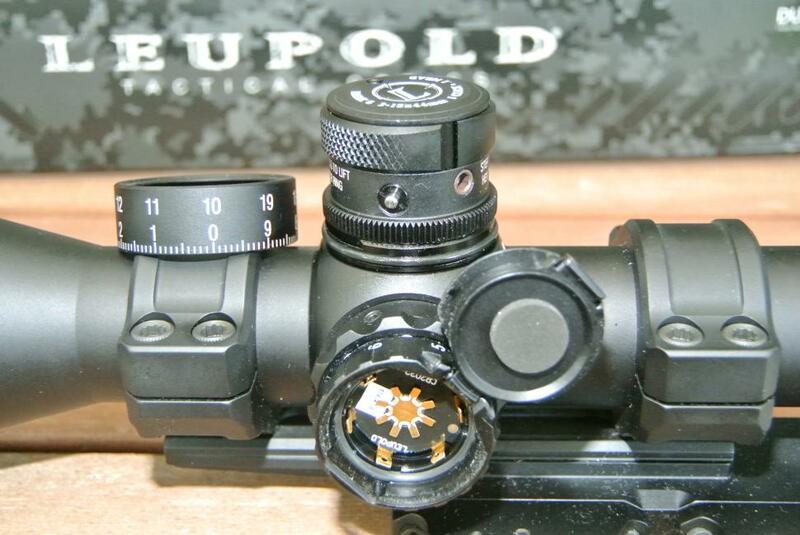 Certainly Leupold’s service left nothing to be desired. At the outset of this review the question hanging in the air was whether the Mark 6 3-18x would be the end-all, be-all mid-powered tactical scope superior to all others because it had all the features, all the performance, and none of the weight or whether it would just be another overly ambitious ultimately unusable design. The truth turns out to be more complicated. The Mark 6 3-18x is optically good, but more comparable with scopes in the $1.5k price range than those at $3k. In use, it is comfortable for the eye but a bit touchy on the parallax. The all important elevation knob is feature rich but also poor in feel. Notably, the cost for the illuminated version as tested ($3.2k) is a great deal more than an otherwise identical model without lighting ($2.2k). Initially, I thought this might just be business majors doing what they do, but I have reconsidered and expect that the aggressive short design probably makes the installation of the lighting complicated: increasing assembly time and therefore cost. 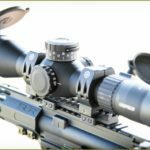 Regarding the mechanical performance, since you are reading this and therefore probably read a great deal of long range shooting material, you have probably been admonished many times about testing the tracking of your optic. I hope my experiences when testing a brand new Mark 6 straight out of the box have been illustrative. You really can’t take the performance of your equipment for granted. It must be tested. 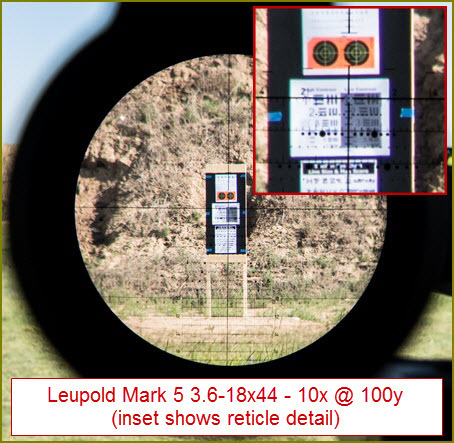 Leupold certainly made things right when presented with my tests, but had I not been so thorough and instead set my 100 yard zero, grabbed a calculator-generated dope card, and just marched off to vaporize some gophers or compete, all I would have succeeded at is kicking up little dust clouds well behind my targets. Personally, at the conclusion of the review, I am at least as enamored with this optic as I was at the start. To my thinking, many scopes from many countries and brands have become quite optically excellent at the cost of tremendous weight. The Mark 6 3-18x is very unique in delivering good optics as well as all the necessary tactical features in a small light package. It is an absolute no-brainier for anybody using an accurized AR for longer range varmint duty or for a long range hunter who anticipates having to carry his rifle significant distances. I suspect there are also quite a number of servicemen who, being loaded with every contraption ever devised by men who never had to carry them, just does not want one more damned heavy thing to lug around. There will probably never be an optic that is the end-all, be-all, as it has always been said in optics that you get what you pay for. The Mark 6 3-18x is no exception to this rule though it is unique because, while every other contender has tried to optimize optical performance with no limit to size and weight, this design instead optimizes size and weight at some cost to optical performance. That is a price I am willing to pay. -Did I mention it’s really small and light?